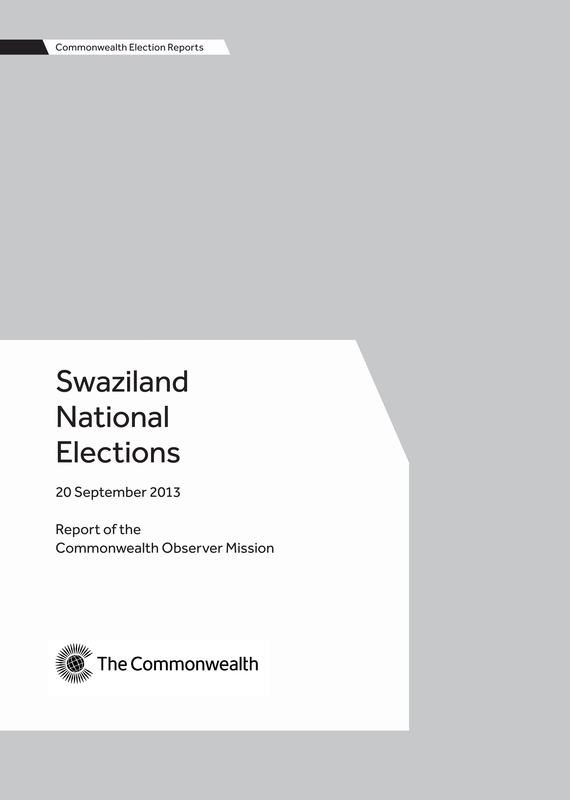 The report of the Commonwealth Observer Mission for the Swaziland National Elections, held 20 September 2013. The Mission was led by Dr Bakili Muluzi, former President of the Republic of Malawi, and was comprised of 5 eminent persons. The Commonwealth Observer Mission found that the elections were generally well organised, but fell short of meeting Swaziland’s key international obligations for democratic elections. The Report makes a number of recommendations for the government, Elections and Boundaries Commission and other stakeholders to consider with a view to improving future electoral processes. The 2014 general election was conducted in a peaceful, credible and transparent manner. Voter turnout was high and the Mission commended the Electoral Commission on its management of the entire electoral process. The report makes a number of recommendations for consideration ahead of the next elections. The report of the Commonwealth Observer Mission for South Africa’s national and provincial elections held on 7 May 2014. These were significant elections as they were the first elections in which ‘born frees’ (those born in or after 1994) could vote and the first to be held since the passing of Nelson Mandela. The report of the Commonwealth Observer Mission for Sri Lanka’s Northern Provincial Council Elections, held 21 September 2013. The Mission was led by Stephen Kalonzo Musyoka, Former Vice President of Kenya, and was comprised of 4 eminent persons. The report of the Commonwealth Observer Mission for the Pakistan elections, held 11 May 2013. The Mission was led by Sir Douglas Kidd, former Speaker of the House of Representatives of New Zealand, and was comprised of 13 eminent persons.